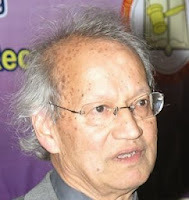 "Prof. Yash Ghai reading Sri Lankan minds on federalism states 'There seems to be a phobia in your country'"
Q. Could you trace how Kenya was able to introduce a new constitution in 2010? It took a longtime. Discussions about a new constitution commenced about 12 years before we finally had the constitution. There are a number of reasons as to why it took that long. We were experiencing a very momentous period from a situation of a one party state to a very democratic constitution. So it took time to persuade the regime. Fortunately, the people were very keen on a very democratic system which is fair to all the communities, and that helped us a lot. People appreciated what we were doing. The politicians also realized that the people were in support of a more democratic, participatory process. So in the end we put the draft to a public referendum and it was approved by 70% of the voters. It took a longtime because politicians kept changing their mind. I think people were longing for a change for a long time because we’ve had two very tyrannical presidents, who completely monopolized state power. Q. Since it took 12 years for the Constitution to be introduced, was the same draft used? What exactly was the process? Q. In Sri Lanka, the constitution making process has gone beyond the stage of the Public Representations Committee (PRC) report and the interim report has been released. When it comes to debating the interim report, do you think it’s still important to consult the public and obtain their views? Oh, yes, I think it’s essential during all the stages. They have to be consulted and there has to be publicity for all the discussions that take place in parliament or committees. In our case it wasn’t a parliament. It was produced by 15 of us after all these consultations I mentioned and all the research. Not a single politician was involved and they didn’t like some parts, and I said ‘sorry, people in this country want it’. So I would say continue with the dialogue with the people... Click here to read the full article.